I almost never do this for two reasons. The first reason is mentioning anything on a TeeFury or Woot instantly becomes obsolete the next day when they change what they are selling. The second reason is that I constantly struggle with people making a profit off the characters that they don’t own. 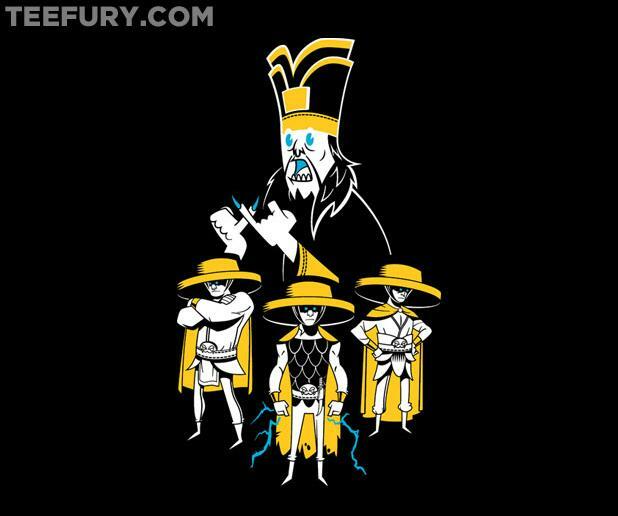 Today’s shirt on Tee Fury is just amazing though. Even if you don’t buy it, which I’m still considering, you still have to appreciate the fantastic art of Tony Bui. Go to www.tonybuifanclub.com and check out more of his art work. He has a line of greeting cards that I think I’ll be ordering from.